Guests spend approximately 3 to 3.5 hours at each attraction. Guided hike and tour to the summit of Chimney Rock Park where you will zipline through the trees of Aspen Grove and Friendship Lake Canyon. An exciting adventure awaits you in Wisconsin Dells! Embark upon Zip Line Eco Tour, a tour like no other. With over a hundred miles of scenery along the tour, guests are thrilled at the spectacular views. A shuttle takes you to and from the park with your gear, to Chimney Rock Park where your tour begins, and included in the tour are a 25-minute scenic hike to the summit of Chimney Rock and a complementary set of pictures. Along your hike to the eco tour, your expert guide explains to you the history of Chimney Rock Park and even introduces you to some of its unique wildlife. 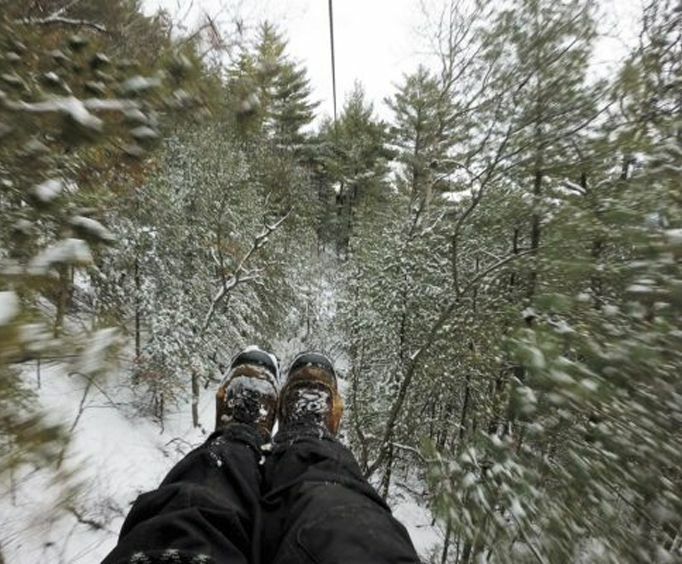 When you arrive at the zipline, your guide walks you through the basics of zip lining. Next, you are set to soar through the trees of Aspen Grove and Friendship Lake Canyon. You will be amazed along the trip from Sunset Cliff, where you continue your tour through canopied oak and pine lines and then finish your tour next to the parking lot. 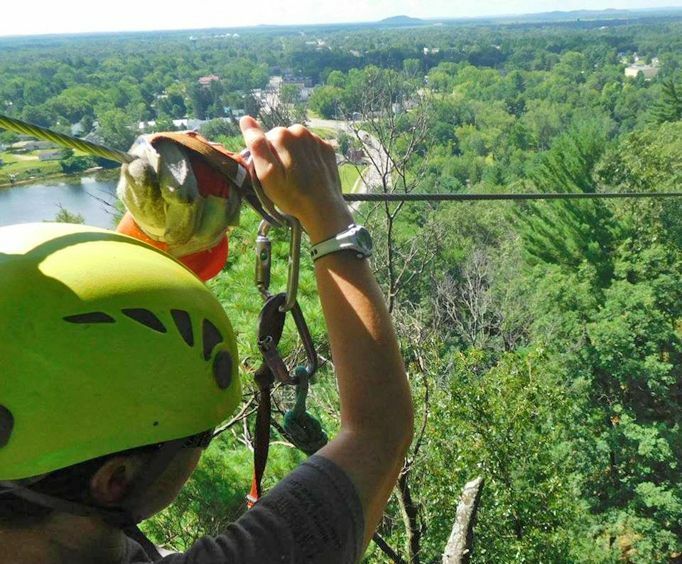 For a one-of-a-kind trip in the Wisconsin Dells filled with breathtaking views and thrills around every corner, experience the Zip Line Eco Tour. Includes admission to the Zip Line Eco Tour. 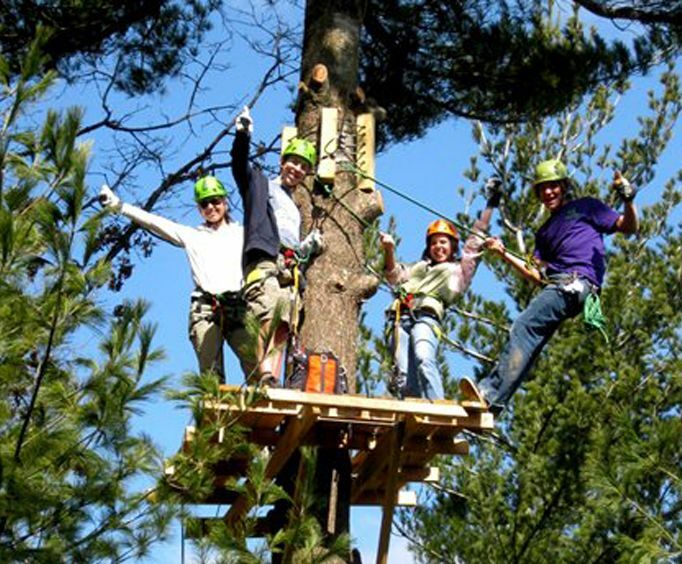 Includes admission onto the 18 Line Zipline Adventure.